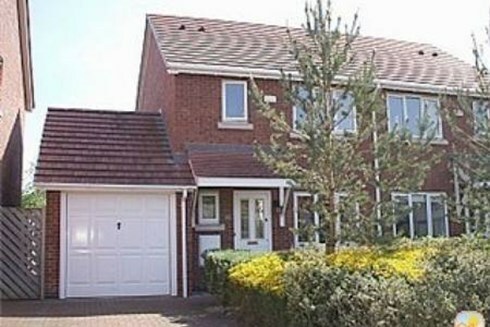 "Pendragon" is located In a secluded cul-de-sac on Conwy Marina 100 yards from the Conwy (Caernarvonshire) golf course. The Waterfront is close by with walks along the beach. The medieval town of Conwy is a riverside walk and Victorian resort of Llandudno is a few minutes drive away, further sandy beaches at Penmaenmawr and the mountains of Snowdonia nearby. A short walk to the beach, golf course, Conwy Mountain, excellent pub restaurant The Mulberry and The Mulberry Stores open from 8am-6pm Mon-Sun. Two Bedrooms one of Kingsize, & 1 Twin, Bathroom with large walk in Shower, Sitting room, Kitchen and Dining area with doors to a large enclosed Patio Terrace. Facilities include Full Gas Central Heating, Dishwasher, Washing Machine, Fridge/freezer, Microwave, DVD, 50" TV Freeview widescreen to sitting room and TV's in both bedrooms, Off road parking. Complimentary WIFI. This is a NO SMOKING and NO PETS property with a Saturday changeover. Flexible out of season. In a fascinating medievel town on the coast of North Wales, in Conwy which would appeal to anyone with a love of history and culture, particularly when you'll find yourself in the ideal position for exploring a destination where an abundance of ancient architecture happily exists alongside the independent shops and restaurants of a modern marina - reflecting a more traditional aspect of the town and an option that is sure to give you a truly authentic experience of life in a typically rural location in North Wales. A golfing holiday in Conwy can be found within a short walk of at least one fabulous golf course and close to enough others that you can be sure to add plenty of variety to your favourite sporting pastime - rent a holiday cottage in Conwy and you can also benefit from having a blissful sandy beach virtually on your doorstep where a wide range of watersports can be enjoyed, with so many opportunities for outdoor activities increases the potential for a holiday home in Conwy providing the perfect solution to any family holiday. And you can't visit this part of the country without losing yourself in the spectacular mountain landscapes that spread across the interior of North Wales, close to the Snowdonia National Park to satisfy any desire to overdose on breathtaking scenery! 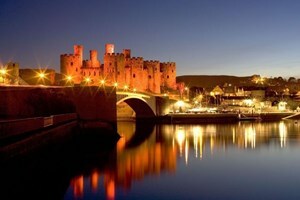 Conwy is very easy to drive to. 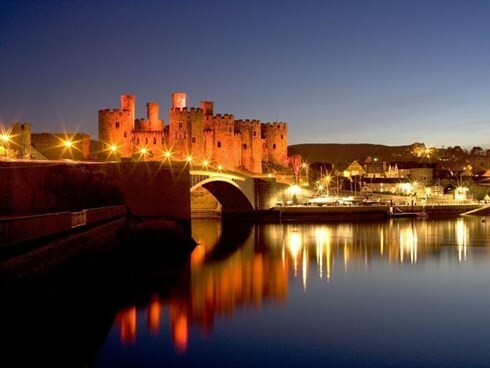 The nearby A55 runs along the scenic North Wales coast and connects with the M56 and the M6 giving access to all parts of the UK. Conwy also has its own railway station just ½ a mile from the holiday rental and the major Llandudno Junction is only a mile away with direct links to London Euston in 3 hours. Taxi ranks on site at both stations. Bus 200 metres. For air travellers Manchester and Liverpool John Lennon airport serve the region 120km. For a day trip to Ireland take the fast ferry from Holyhead 80km.